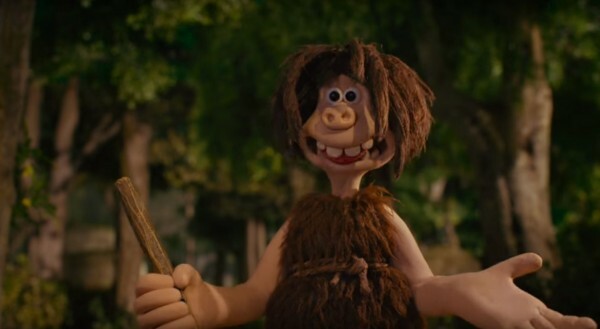 Eddie Redmayne’s prehistoric character in a new film from the makers of Wallace and Gromit has been revealed in a first-look teaser trailer. The Oscar-winning actor voices Dug, a courageous caveman hero who belongs to a hapless tribe in the stop-motion animation Aardman comedy Early Man, which is set for release in January 2018. Set at the dawn of time, the forthcoming film also stars the voice work of Tom Hiddleston as Dug’s enemy Lord Nooth and Timothy Spall as Chief Bobnar, along with a host of other British acting talent including Maisie Williams, Richard Ayoade, Johnny Vegas, Mark Williams and Selina Griffiths. Dug and his tribe must unite to protect their Bronze Age city against the wrath of the evil Lord Nooth. In the teaser, Dug is seen on a hunt with his sidekick Hognob, before he is forced to chastise members of his tribe who have followed him while playing mood-setting music. Director Nick Park, the creator of Wallace and Gromit, Shaun the Sheep and hit film Chicken Run, said: “Today we get to meet Dug’s tribe, a loveable bunch of misfits voiced by some exceptional British talent. “They’re essentially a group of inept cavemen and women including Treebor, played by Richard Ayoade, a gentle giant scared of his own shadow; Magma, Treebor’s no-nonsense mother voiced by Selena Griffiths, and Mark Williams as Barry, whose best friend is a rock. Filming is currently taking place in Bristol and the project continues the partnership of Aardman and StudioCanal following 2015 film Shaun the Sheep. Early Man is to be released in UK cinemas on January 26 2018.